Have you heard? We’ve got a brand new collection – and it’s already making waves! Living in Cornwall, our culture and everyday lives are often influenced by the coast that surrounds us. 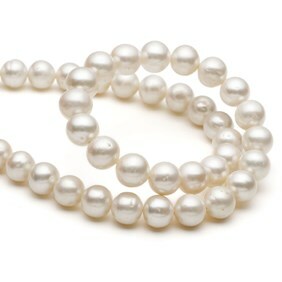 Never more than ten minutes from the beach, we like to bring this lifestyle to our company and the products we stock. 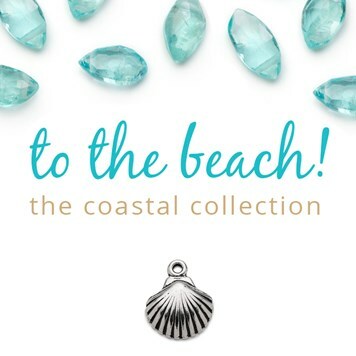 That’s why we’ve created The Coastal Collection – it’s time to get summer ready! We love creating Make The Look tutorials to keep you inspired – take a look below at some of the designs we have created with the Cornish coast in mind. 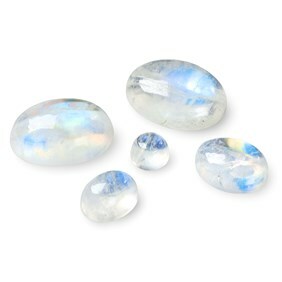 Maybe they could be your next summer project or a brand new design to add to your very own collection? Click any of the images below for a full guide on how to make it! 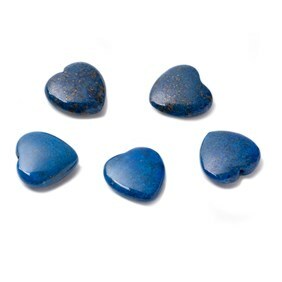 We also adore the range of charms currently on offer, from sea shells to whale tails that create such a unique style to any necklace or bracelet. Here at Kernowcraft, our charms come in gold vermeil and sterling silver, with loads of coastal themed designs to choose from. 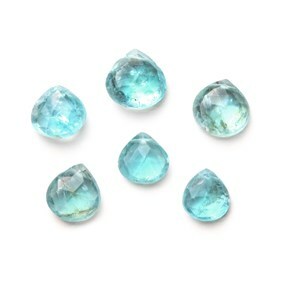 A wonderful weekend make to keep you busy - and also really easy to do with our bezel set faceted aquamarine blue chalcedony link connector! 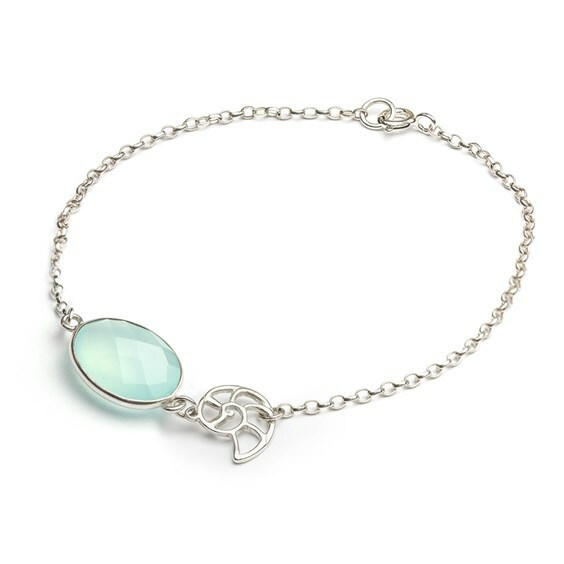 Add on your choice of charm and you've got yourself a beautiful and elegant bracelet for one lucky person! Read the tutorial here. 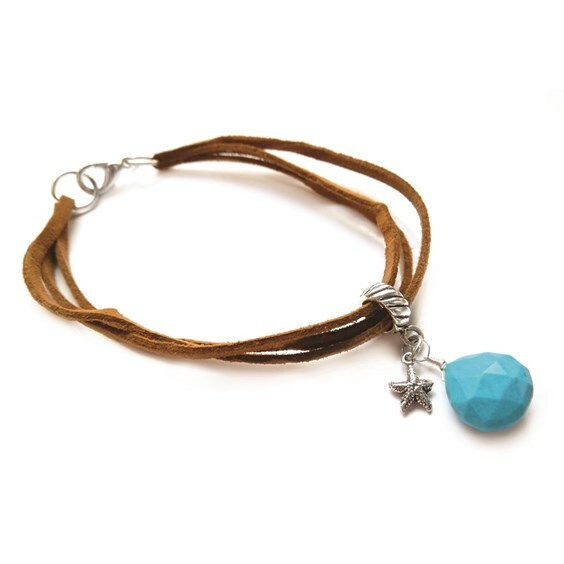 Festival season is upon us and this bracelet would be the perfect way to complete an outfit! Silver, cord and turquoise combine beautifully, creating a real coastal vibe. Shop charms here and read the full tutorial. 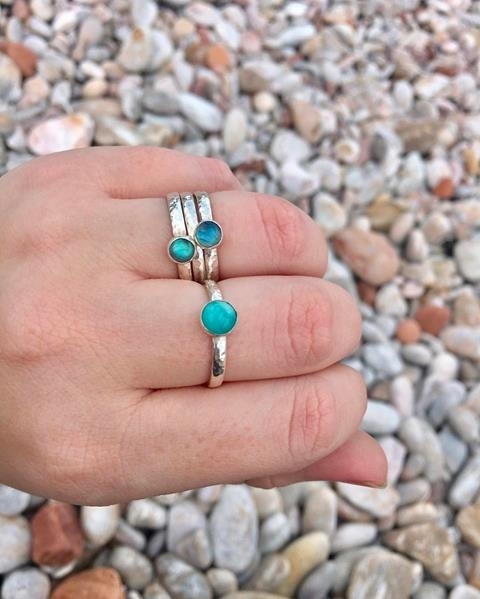 Jasmine from Silver Linings Jewellery has created beautiful stacking rings featuring Peruvian Amazonite! 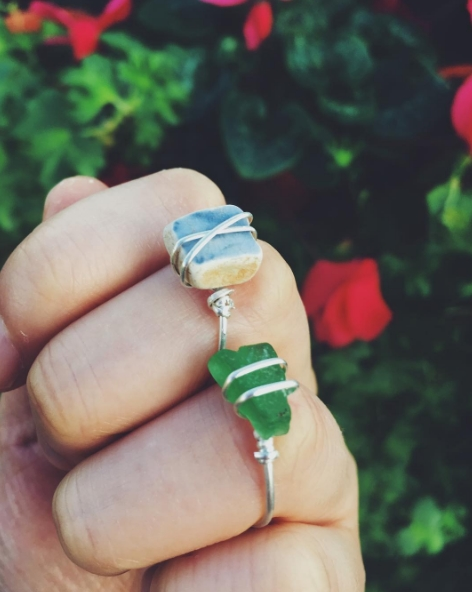 Sea glass always works a treat - Rachel from Kintsugishop has created these wonderful wire wrapped adjustable rings! Don't forget to tag us on Facebook, Twitter and Instagram for your chance to be featured on Kernowcraft!